After coming off a one-win season in 2015, things are looking up for the San Francisco ShEvil Dead! 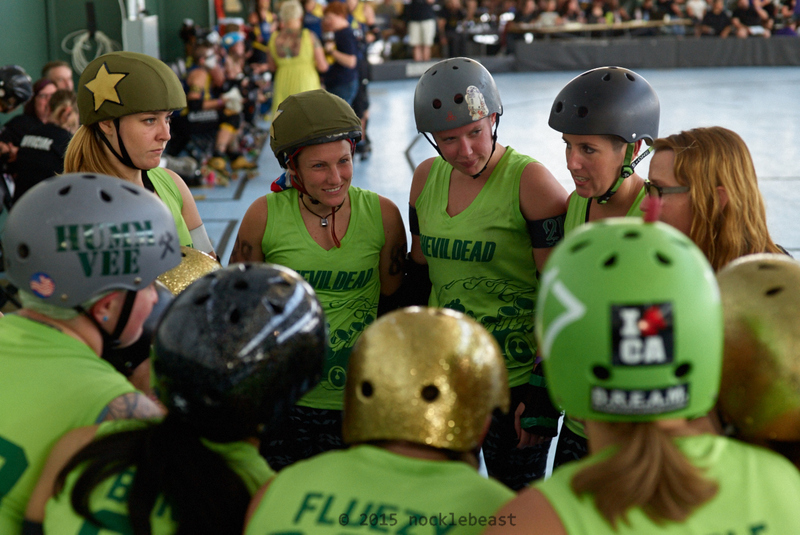 With the leadership of new coaches, Sweet Sherry Pie and Korn Holy-O (Pie-Hole for short) , and a scrappy crew of new draft picks, the Dead are aiming to scare the life out of their opponents in 2016. 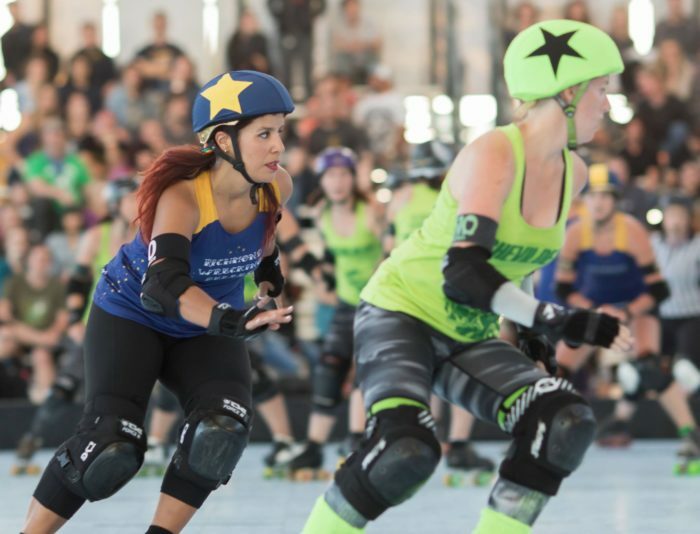 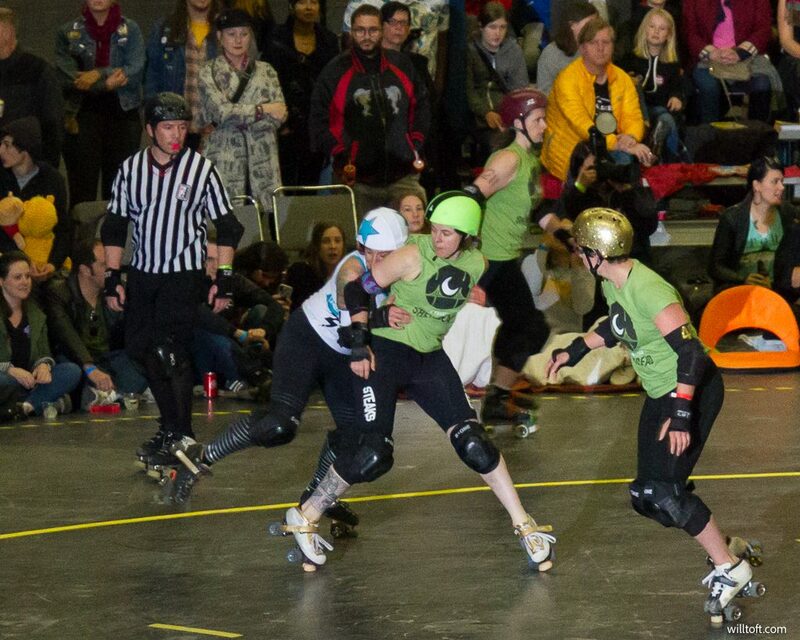 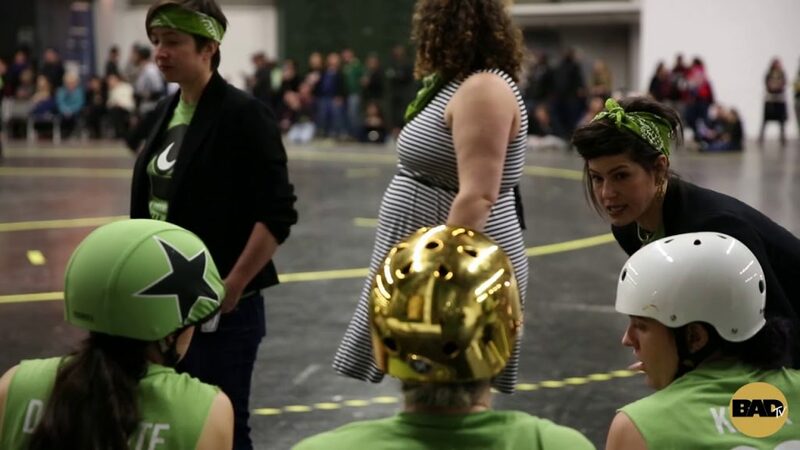 Rounding out the Dead’s coaching staff off-skates is Slaybia Majora, whose veteran presence during bouts will continue to be a major asset, especially for the hungrier zombies joining the Dead for their first year. 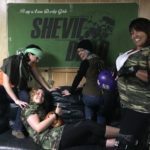 ShEvil drafted seven skaters at the beginning of the season—a mix of transfers from other leagues and skaters new to roller derby: Butter & Jam (Sonoma County Roller Derby), Chili Con Carnage, Danymite, Dixie Did It (Sonoma County Roller Derby), Domme Juan (Sin City Rollergirls), Global Warman (Houston Roller Derby) and permab& (Resurrection Roller Girls). 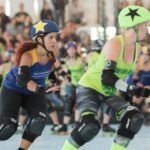 The Dead are already on the right track, coming in an hour before their team practices to workout together off skates each week. 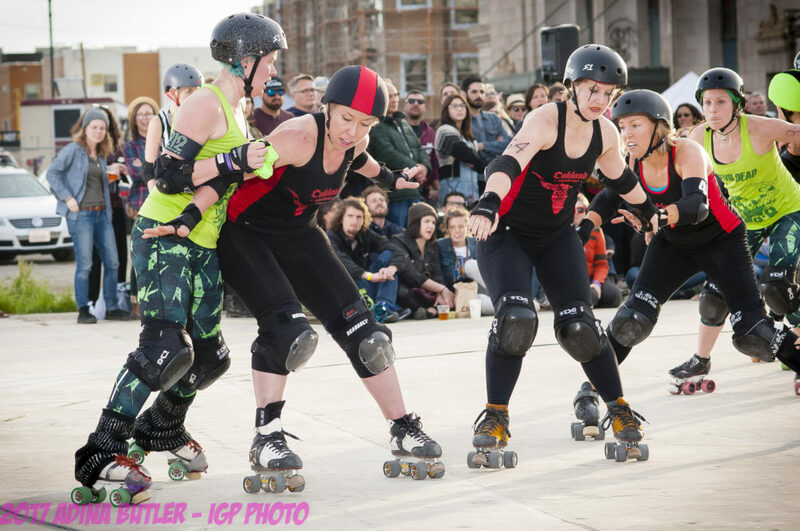 Hole is optimistic about the start of the season, noting that the Dead “…are feeling super good! 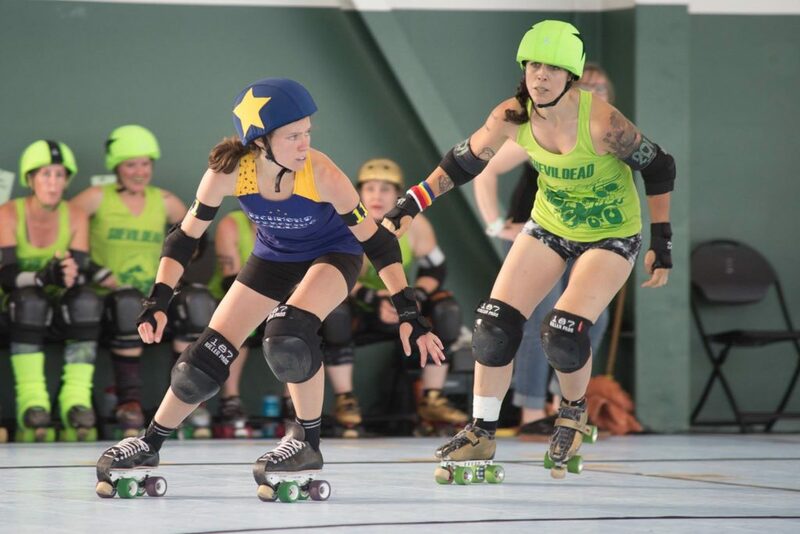 We have planned out lots of opportunities to skate together.” She added that some of the team’s new members already feel like they’ve gelled after having skated together prior to being drafted back in January. 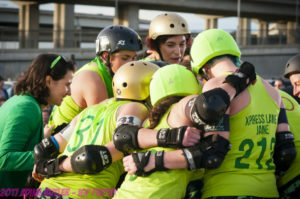 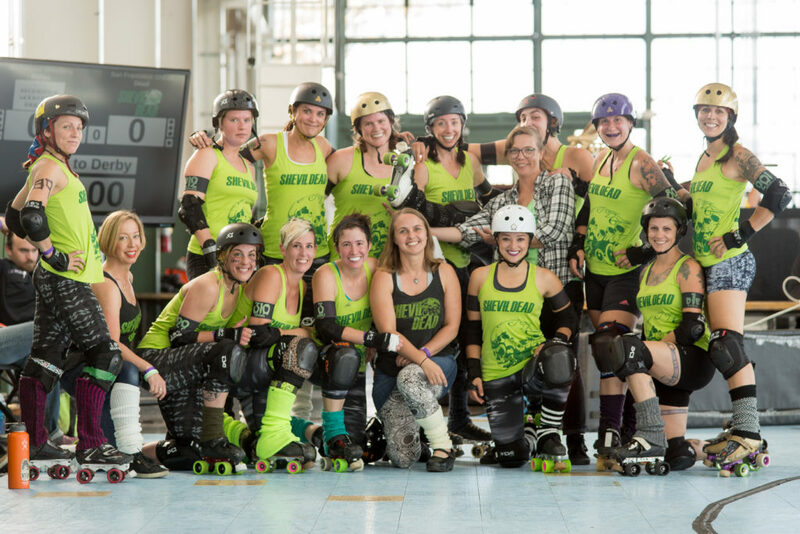 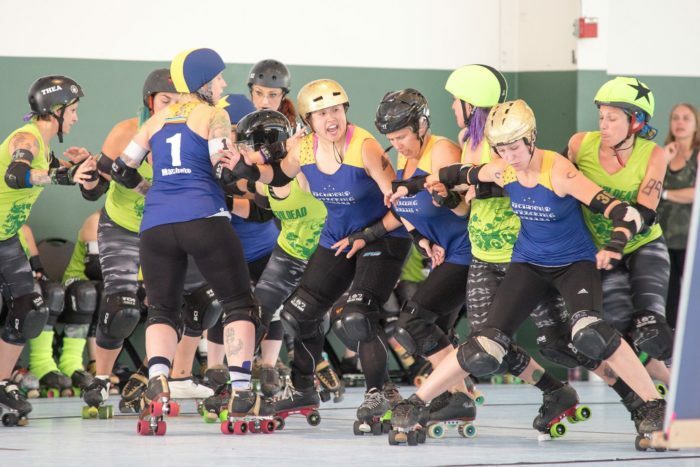 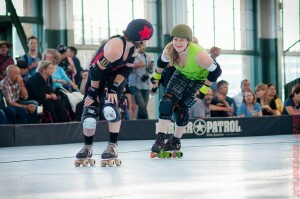 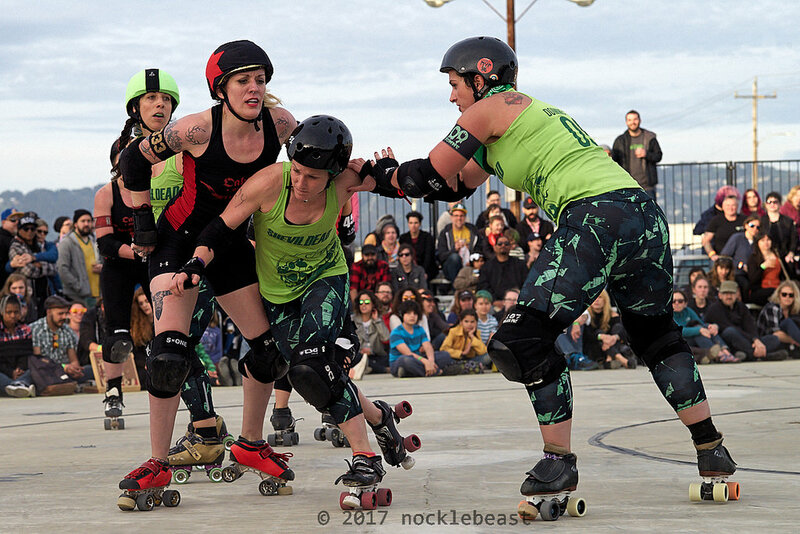 With half their roster made up of newbies, expectations are high for the Dead’s returning skaters. 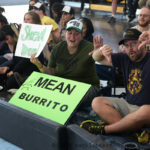 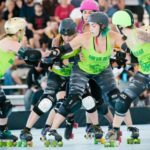 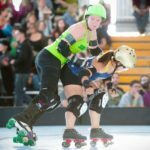 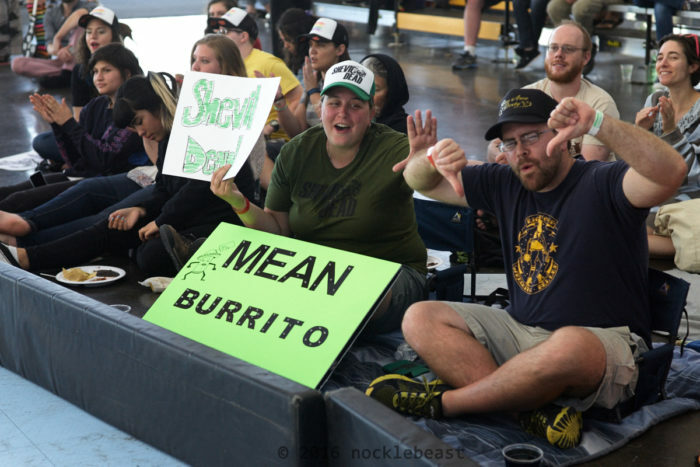 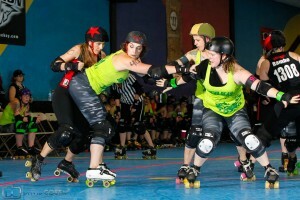 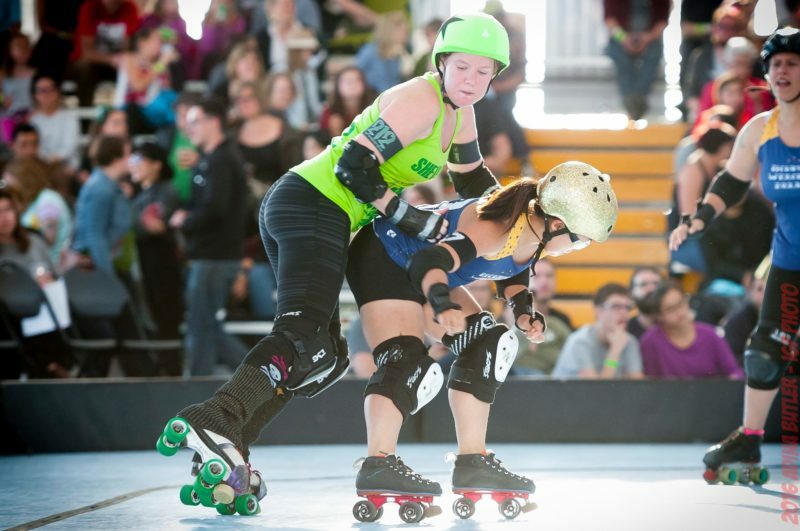 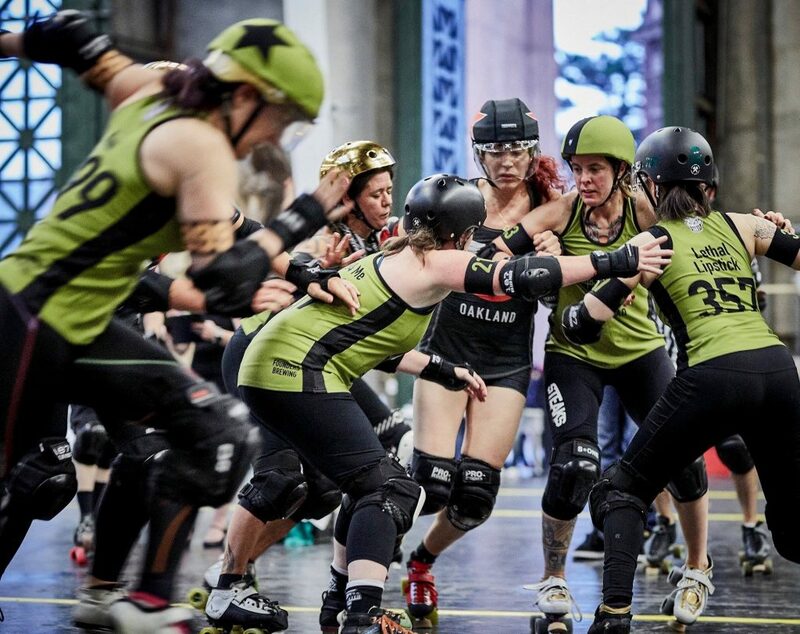 Their jammers: Mean Burrito, Pressure Cooker, Xpress Lane Jane and Gori Spelling are all returning. 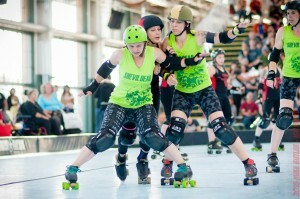 It will be exciting to see if any more speedy zombies will join ShEvil’s point-scoring line-up. 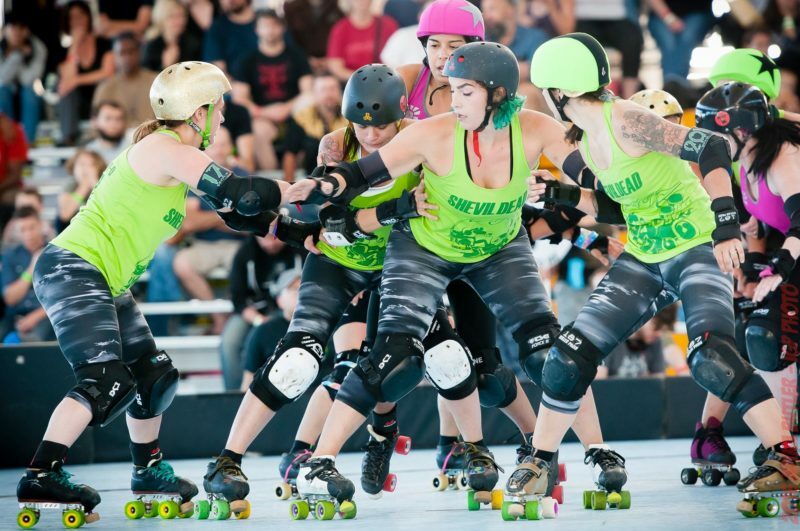 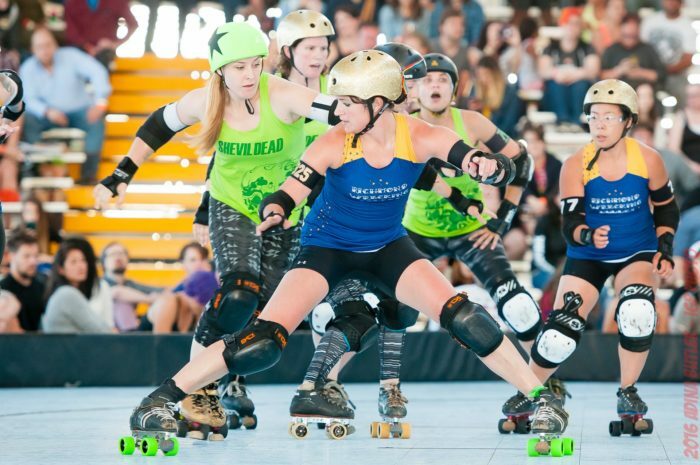 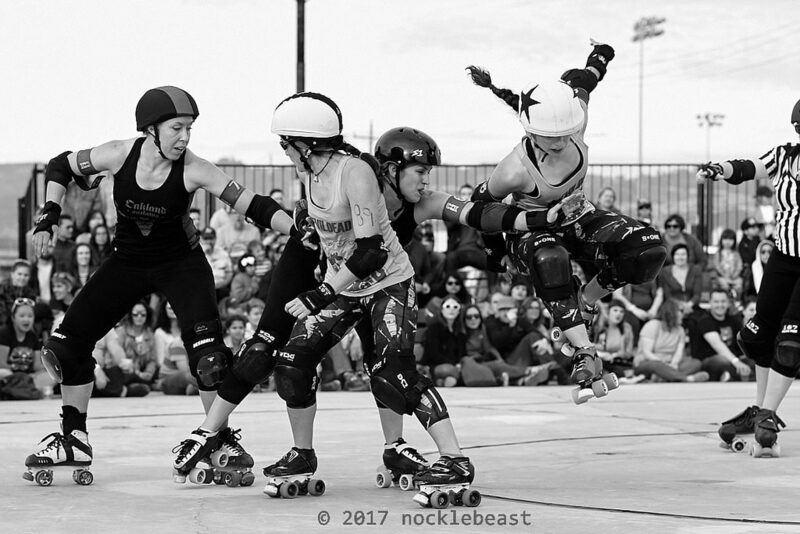 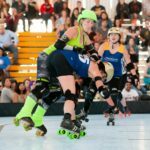 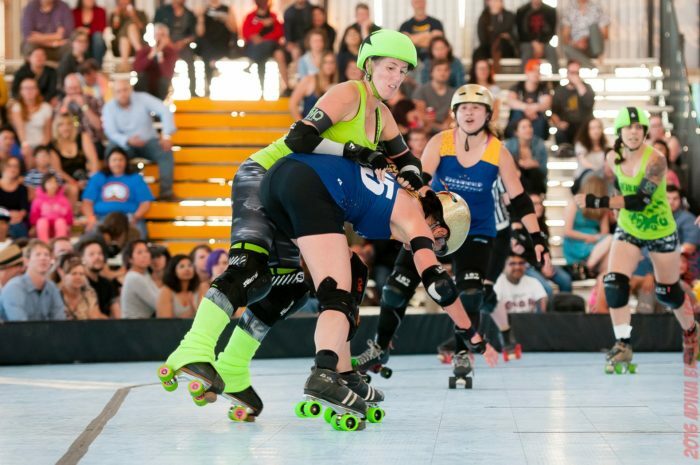 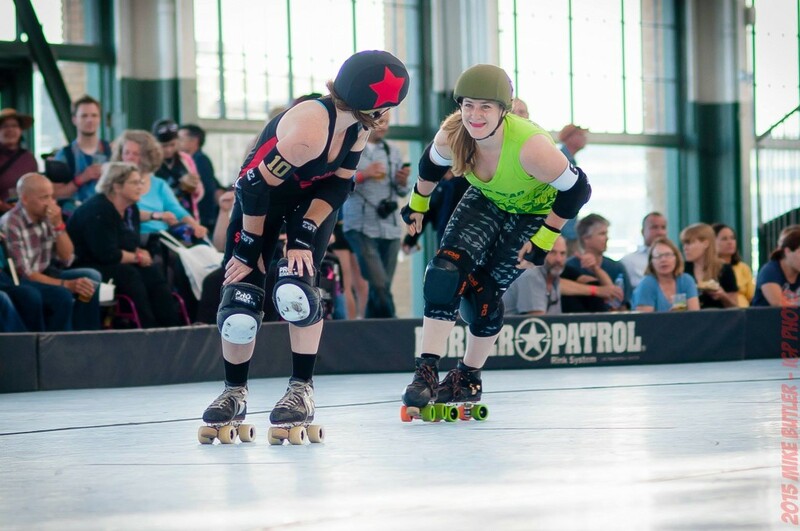 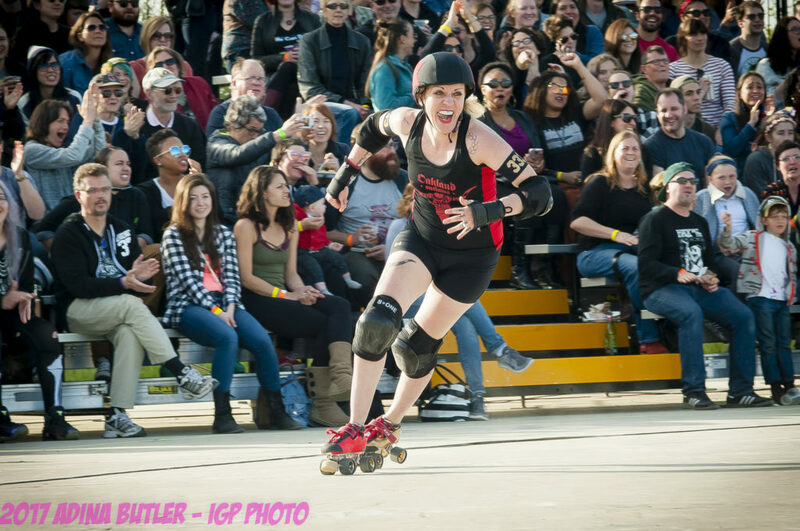 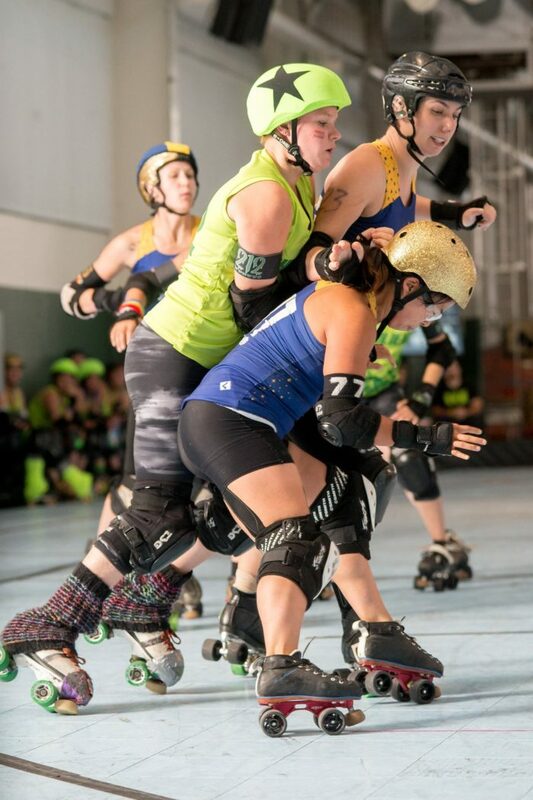 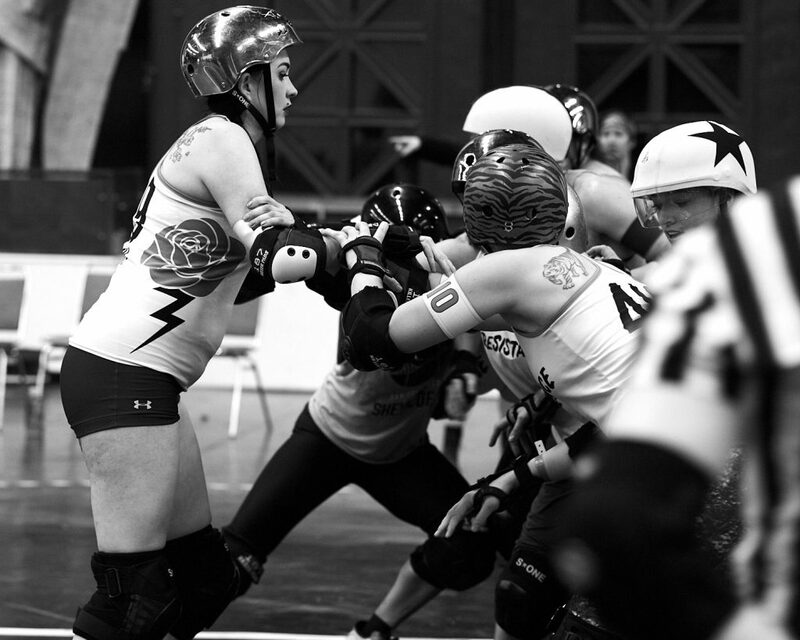 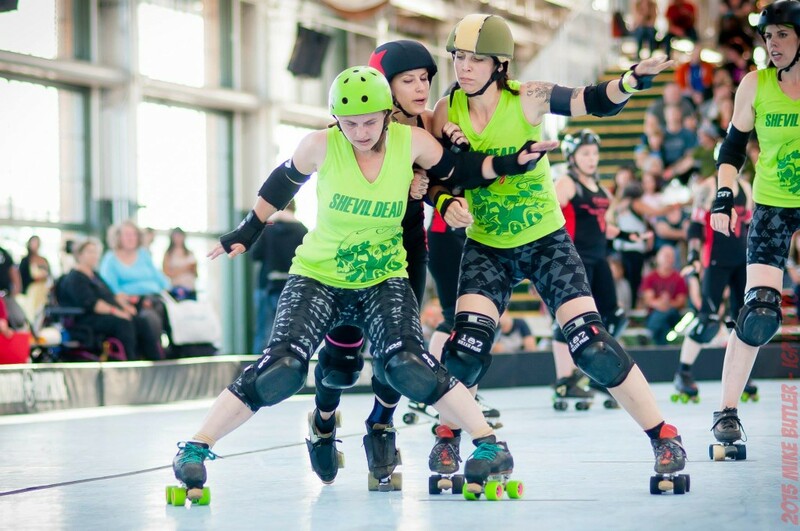 A stout foundation of blockers for the Dead include pivot Sweet Sherry Pie, Korn Holy-O, Erma Gerd — one of ShEvil’s newest bruisers (also from Houston Roller Derby) who was drafted toward the end of the 2015 season — and veteran Thea Pocalypse (formerly Thea Venger). 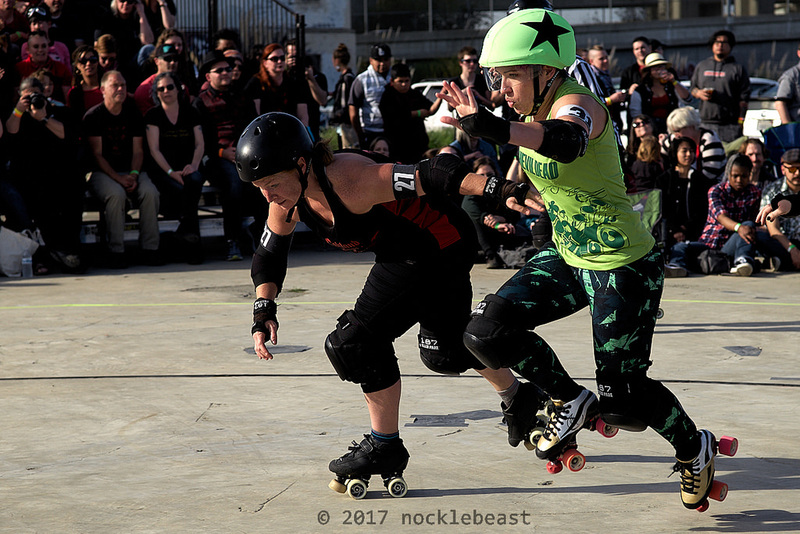 Then there are versatile players, like Cassius May, Spiller, and Princess Peachka, who you may see blocking or jamming depending on the day. 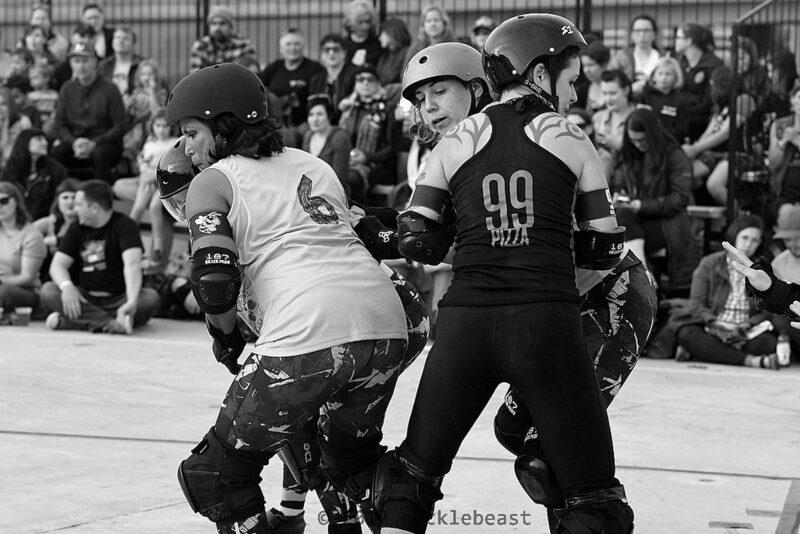 When asked about the sentiments thus far this season, Hole replied, “We truly believe you can be both a competitive team AND have fun playing derby.” Stay tuned ShEvil fans! 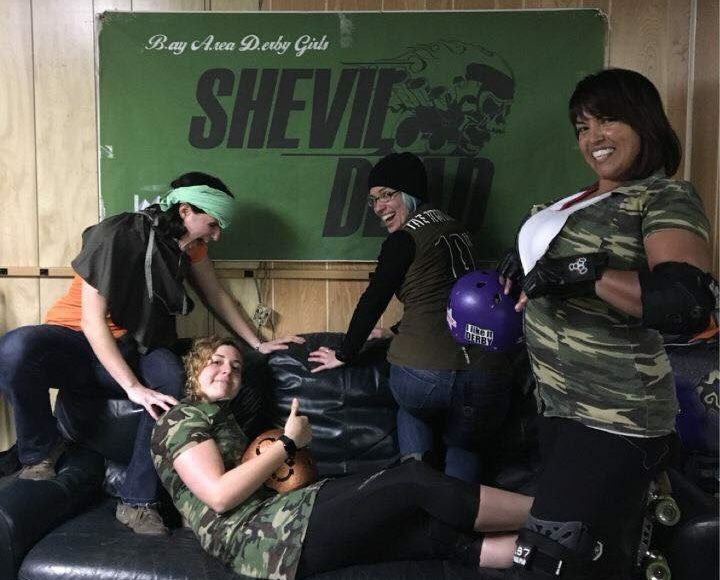 We know you are just dying to watch the evolution of your favorite zombies as the season unfolds in 2016!